I have never been so happy to see February. It’s a new month in a new year! I feel renewed, rejuvenated, and ready to conquer the world one recipe at a time. 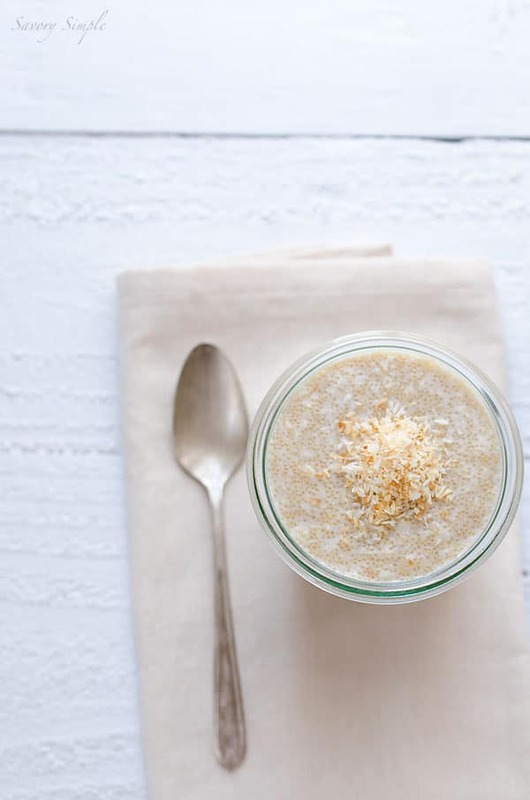 Starting with this Toasted Coconut Amaranth Porridge. Amaranth is a whole grain that I’ve only begun using in the past 6 months or so, but it has really grown on me! I like to think of it as a natural, gluten-free whole grain Cream of Wheat. I’ve heard of people using this grain in many different creative ways but I really just love enjoying it for breakfast. It’s a great source of fiber, iron and protein and I feel good when I eat it. 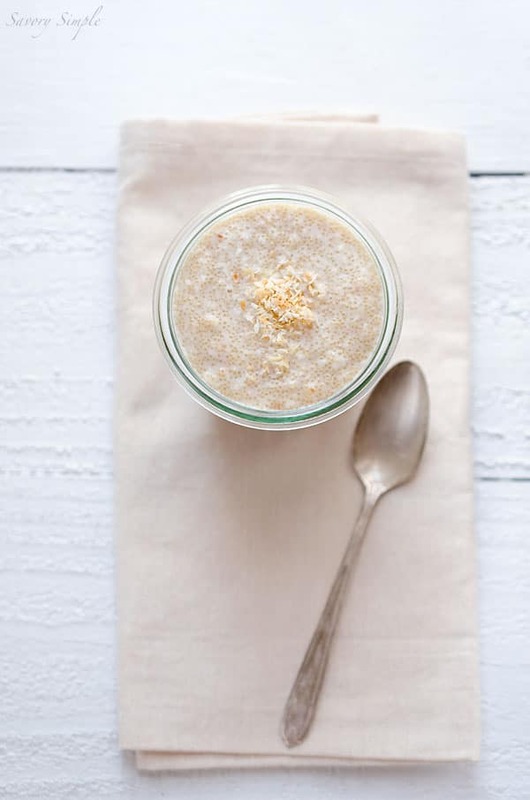 To make this porridge especially rich and creamy, I’ve used coconut milk instead of milk. 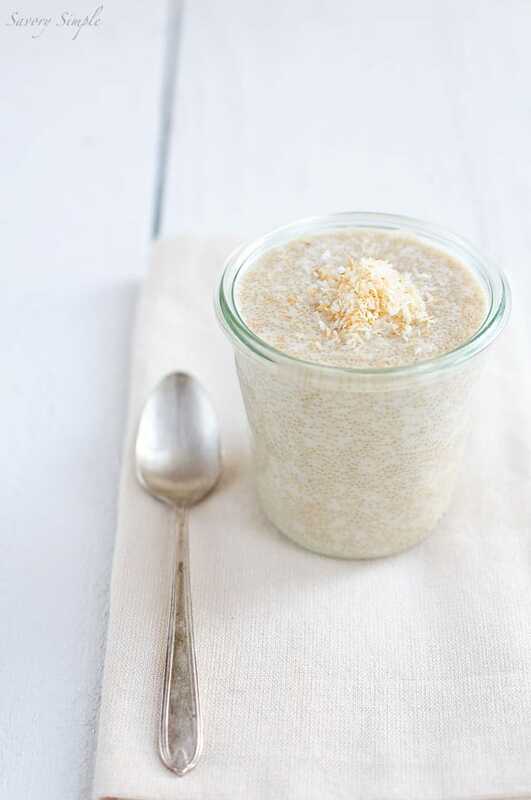 Toasted, unsweetened coconut flakes add a wonderful flavor while honey and almonds are optional add ons for sweetness and crunch. 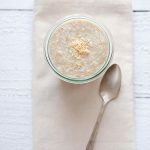 This toasted coconut amaranth porridge is light and healthy breakfast that’s filling and flavorful without being overly heavy. Preheat the oven to 350 degrees F. Spread the coconut evenly on a foil-lined baking sheet. Toast for 3-5 minutes, stirring once midway through, until the coconut is golden brown and fragrant. In a medium saucepan, bring the water to a boil. Add the amaranth and salt, reduce heat to low and cover, simmering for 20 minutes or until the water is fully absorbed. Remove from the heat, and stir in the coconut milk and toasted coconut flakes. If using, stir in the honey and top with toasted slivered almonds. I’ve been gluten-free/dairy-free for 2 years now, I can’t wait to try this. Oooh, I love the addition of coconut! Such a tasty breakfast treat. What a unique breakfast to make! What a wonderful alternative to oatmeal! this sounds incredible!! the photos are amazing as well! Delish! I added warm peaches. Thanks for a great recipe.